If you’ve considered selling your property in the future, now is the time to invest in your home to capitalize on its value. Homeowners from all around are investing in the back of their properties highly motivated by the home-improvement boom that started just this decade. Many studies confirmed that consumers value a landscaped patio 11.3 percent higher than the one without good landscaping. Along with that, it will increase your house’s value by a staggering 12.4 percent. This might be the right time to consider improving your outdoor living area because it offers an excellent return of investments. If you’re not sure where to start, gardening and landscaping is the way to go. These kind of spaces are very popular, though they can be high-maintenance. To avoid that happening, you can do a little research on native plants or drought-tolerant plants that thrive in your area, which are all less expensive and not too complicated to care of. If you, however decide for something more demanding, you might need to get some help in the form of an irrigation system. Keeping your backyard clean and well hydrated is very important, so make sure to update your sprinklers, and replace hose connectors and fittings. Besides plants, shade trees or tall shrubs are the best solution to lowering your energy bills over the summer, as they can provide shade and block the sun's rays from overheating your home. First impression is the most important when it comes to making or breaking a deal. Don’t put off caring about your curb appeal until it’s time to sell your home. These kind of improvements are cheap, simple and long-lasting. You can do things such as repaint your home, fence, front and garage door, update your door knobs, patch or repave your driveway or simply clean up the grass. Installing a new steel door can increase both security and energy-efficiency. A clean, uncluttered front yard can instantly alter someone's perception for the better. If you have a pool, a pergola can easily accentuate the pool area and increase your outdoor living space as well. It creates more shade and opportunities for more greenery and lighting, and if you choose breezy curtains, even a shelter from bugs. Installment costs between 1000-3000$, depending on the size, but luckily, the additions such as vines, flowers, strings of light and other are fairly inexpensive. 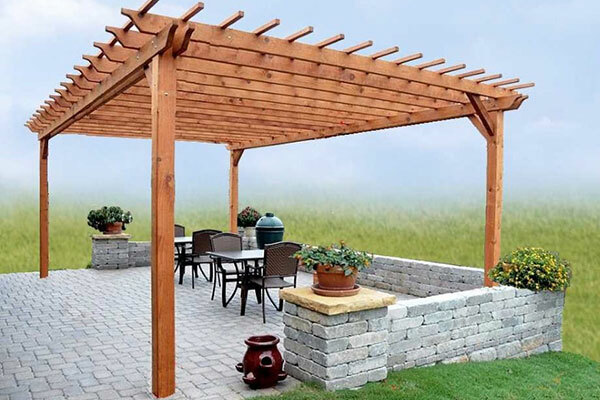 Most importantly, a pergola will increase the value of your home more than the actual cost of building it. Decks provide a very high return of investment, but they can be a bit pricey. You can save a lot of money if you decide to build it by yourself, however, the cost of someone else doing it comes to about 3500$. Patios, terraces and decks are generally high on the wish list for buyers, so carefully calculate if you’re ready for this kind of investment. 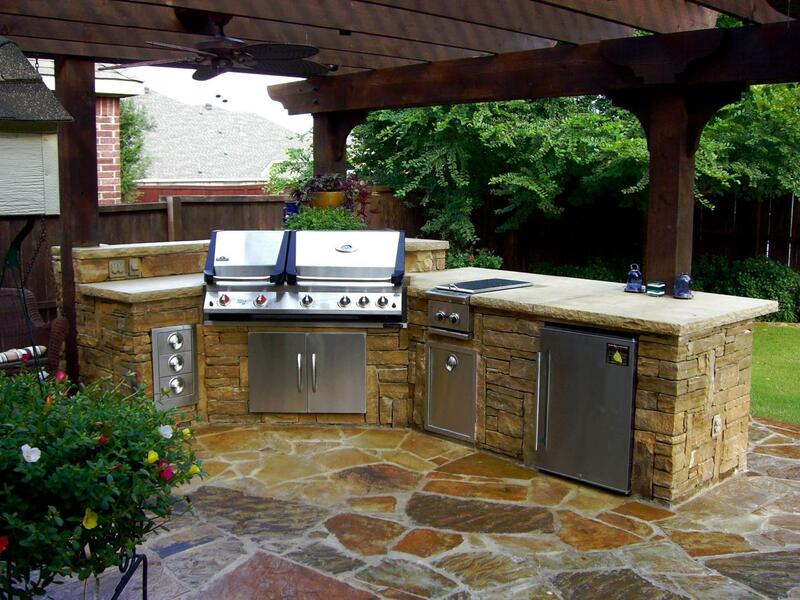 All aside, a patio makes for an amazing outdoor area where you can make further improvements in the future. If you’re not limited by your budget, you can add a fabulous outdoor kitchen that can provide you with both practicality and fun outdoors. It can be installed with hot and cold running water, grill, and even a refrigerator. Every buyer is looking to use their backyard as an extension of their house, so they can cook and dine there, or even watch TV. Many homeowners can enlist the help of a trusted real estate professional to consult on what changes to make. You can use that to your advantage, and stay informed on the changes in the marketplace. 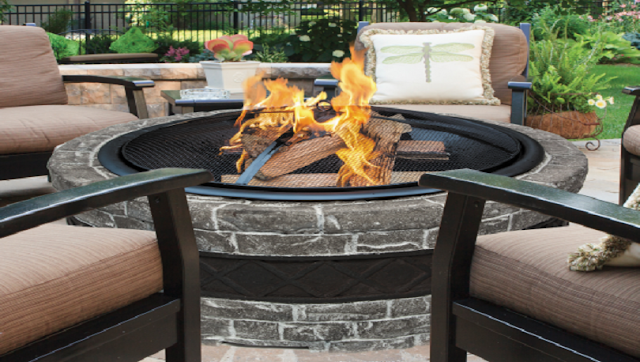 The most important thing when it comes to improving your backyard is to not go overboard. Create a detailed plan and according to your financial capabilities, adjust your plans so that you can finish what you’ve started. The key here is patience, and a little effort to making your living space more comfortable and enjoyable.